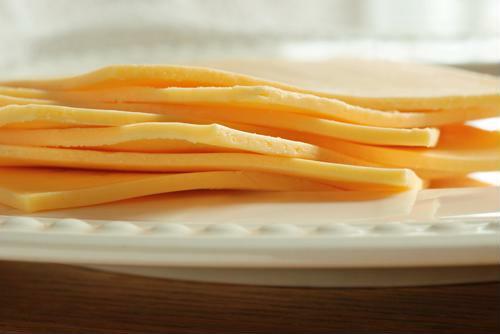 Kraft has announced a voluntary recall of its presliced American cheese packages after some issues over cold storage arose following inventory control checks. Detroit's WXYZ-TV said the company opted for the recall after finding that a supplier failed to store the cheese slices at the required Kraft temperatures. The company explained the failure to maintain the correct temperatures could cause the cheese to become laden with bacteria that could produce food-borne illnesses or early spoiling. While no illness or injuries have been reported as a result of the Kraft recall, the incident indicates that companies need to provide strict and effective controls along the supply chain to ensure that situations like this one or worse don't happen. No supply chain operation is perfect, and with so many suppliers contributing to the flow of goods, a manager needs good personnel at crucial points of the supply chain and suppliers who understand the need for quality control. A Tech Page One article recently showed how workers who communicate along the various steps of the supply chain help make the operation run without costly mistakes, such as wrong temperature storage. Organizations can have big problems when shipping needs to process and move orders but quality control has some parameters that slows the movement of the product. Czarina Walker,CEO of a Louisiana-based software consulting group, said having departments on the same page is key to smooth operations. "Part of why operations and quality are out of alignment is that they are normally handled by different departments and their individual departmental measures of success are somewhat different," explained Walker. "For operations, they are tracking their speed and efficiency. Quality concerns are usually first logged by another department [such as customer complaints or warranty returns] for customer service." Wise use of the technology at hand and deployment of new automated data collection software can make the going easier, but managers also need to be aware of different risks that they've experienced before. Chris England, director of business development and marketing EMEA with global identity management provider Okta, told Tech Page One that protection and maintenance of data is one the most important operations a manager will face in today's marketplace. "To do business in the modern digital economy, many organizations use applications to track and manage distribution and provide a consistent experience to all buyers and suppliers," said England. "Today, a supply chain can consist of tens, or even hundreds, of different suppliers, each of which provides businesses with another potential point of failure, or entry point for a cybercriminal to attack, so the more security businesses can put behind the supply chain the better."